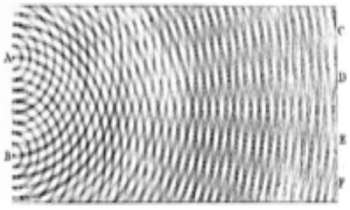 That faint rising tone, physicists say, is the first direct evidence of gravitational waves, the ripples in the fabric of space-time that Einstein predicted a century ago (Listen to it here.). And it is a ringing (pun intended) confirmation of the nature of black holes, the bottomless gravitational pits from which not even light can escape, which were the most foreboding (and unwelcome) part of his theory. Conveyed by these gravitational waves, an energy 50 times greater than that of all the stars in the universe put together vibrated a pair of L-shaped antennas in Washington State and Louisiana known as LIGO on Sept. 14. If correct, this is indeed a big astrophysics advance. About a billion dollars in obscure research has a positive result. I have just a couple of observations, as I have not read the papers. 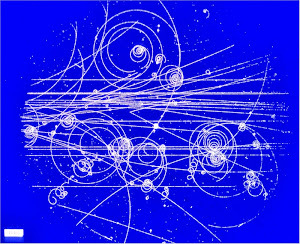 The biggest physics a announcement of last year was the BICEP2, which was supposed to be the echo of gravity waves during the big bang. It got glowing endorsements from everyone, as proof of big bang, inflation, quantum gravity, and gravity waves. Only months later did a rival group convince everyone that they just saw some boring cosmic dust. Next, all the talk of Einstein is a little silly. He did not even believe in gravity waves. He wrote a paper in 1936 that supposedly disproved gravity waves, and then got angry when an anonymous referee proved him wrong. He thought that he was too good to be subjected to the referee process. Third, the LIGO experiment is an interferometer that is quite similar to the Michelson-Morley experiment that was the crucial experiment for special relativity. The MMX was trying to detect the motion of the Earth, while LIGO is trying to detect motion in another galaxy. I posted to a few articles about the Einstein gravity wave paper. The entire news media is bogus. One article began "If Albert Einstein was alive today, he'd be saying: 'I told you so.'" The little brats won't issue a retraction. How are they so certain this device is even detecting what they think it is detecting? I see no evidence the device has any directional detection abilities whatsoever. The device is so sensitive to vibration, a phone ringing in the building set it off (according to one story). It is built on the surface of the earth which is always in tectonic motion and vibrating to some degree, and the Earth itself is located in a solar system with a bunch of planets, we orbit a star...good grief, how would they know from which direction their signal (if authentic) was even coming from? The signal they are detecting is also the product of a very data massage heavy process (monte carlo stikes again)and so software bias of any kind is far more a determining factor than an incredibly weak signal hypothetically coming from theorized 'black holes' orbiting...sheesh. I then read that vibrating (rippling) space time is what they are detecting...ok, how? Space time is static. It DOES NOT MOVE in any way, which is why it is useless to describe reality. There is no before and after in space time, no cause and effect, it is effectively inert. How can a model which can not describe even an impulse to motion within it's own framework be used to describe theoretical objects billions of miles away 'doing' anything? It 'chirped' they said. yeah, that's great. The only sound I hear is roar of the toilet flushing more tax payer money down the sewer. If the scientists can have their bias, so can I. I hope they lose their funding if this turns into another BICEP. They say that they were not just detecting a truck driving down the street because the same signal was received in both detectors, 2k miles apart. One detector got the signal a little earlier than the other, so that shows that detector is closer to the source. Otherwise, I don't think they know anything about the direction. I do not know how they estimated the distance. At one time, that Einstein paper was considered a big deal. But it is largely forgotten now, and I didn't pay much attention to it. I guess my point isn't just that he had an inferior theory but that he also wasn't the first. It seems that many accounts give him credit for being the pioneer but he simply published first. “He wrote a paper saying they don’t exist, and retracted the idea,” Dr. Krauss said. “It turned out he had made a mathematical error that was only discovered just before he was going publish” the retraction. That paper was rejected by a first journal, Physical Review, Dr. Krauss said, after the mathematician and physicist reviewing the paper, Howard P. Robertson, found the error.